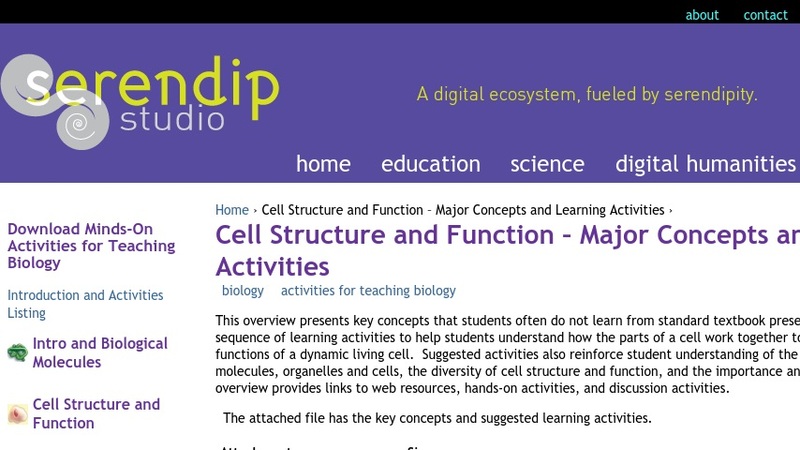 This overview presents key concepts that students often do not learn from standard textbook presentations and suggests a sequence of learning activities to help students understand how the parts of a cell work together to accomplish the multiple functions of a dynamic living cell. Suggested activities also reinforce student understanding of the relationships between molecules, organelles and cells, the diversity of cell structure and function, and the importance and limitations of diffusion. This overview provides links to Web resources, hands-on activities and discussion activities.